Key developments in the world of federal employee benefits: health, pay, and much more. The Office of Personnel Management is encouraging insurers to find ways to reduce costs for plans in the health care program for federal employees. In its annual letter to Federal Employees Health Benefits Program carriers on Jan. 23, OPM suggested a number of ways that insurers could change their offerings, or provide new types of plans. OPM also suggested insurers employ online portals and other communication tools to improve enrollee engagement and support with decision-making, and to explore new techniques for cost management, including evidence-based utilization management. The letter also stressed that FEHB providers must enhance efforts to prevent opioid misuse, and said proposals for 2019 must include detailed information about insurers’ efforts to combat the prescription painkiller epidemic. The agency also told insurers that it is exploring the expansion of its high deductible health plans. 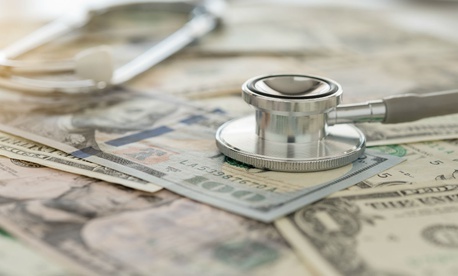 High deductible FEHB plans currently cap health reimbursement arrangement and health savings account amounts at 50 percent of such a plan’s deductible, but Spielman wrote that OPM is “seeking proposals” for plans that allow HRAs and HSAs to exceed that threshold. Meanwhile, President Trump traveled to Capitol Hill Tuesday to deliver his first State of the Union address, in which he urged Congress to move forward with civil service reform. Although federal workers routinely say they want better rewards for strong performance, efforts to make it easier to fire employees are controversial, with Democrats and labor leaders decrying such proposals as a potential erosion of feds’ due process protections. On Tuesday night, National Treasury Employees Union National President Tony Reardon lambasted Trump for targeting federal employees. Next month, the White House is expected to propose a pay freeze for all civilian federal workers as part of its fiscal 2019 budget request. Erich Wagner is a staff correspondent covering pay, benefits and other federal workforce issues. He joined Government Executive in the spring of 2017 after extensive experience writing about state and local issues in Maryland and Virginia, most recently as editor-in-chief of the Alexandria Times. He holds a bachelor's degree in journalism from the University of Maryland.